This is a very cool idea. Designer Andrew Dutton has come up with the ultimate convertible. It’s a house and vehicle that’s flexible and expandable. The platform is based on a Mercedes Sprinter van but sections slide out and up to provide more home space. It will be interesting to see if a market emerges for a vehicle+house concept like this. It seems very close to the same space that traditional RVs fill but comes closer to serving real housing needs. I also wonder about cost. To build a vehicle+house would seem to be costly and I’d expect to see a price tag similar to traditional RVs. This would make it fairly easy for lenders to understand, making it easier to get financing, but still puts it in a cost range higher than anyone looking for affordable housing would want to pay. In any even I’m extremely impressed with the level of innovation and out of the box thinking Andrew Dutton shows in this conceptual design. 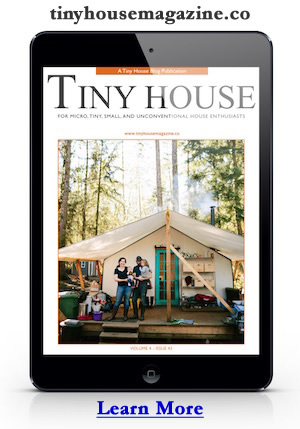 Read the entire story at TinyHouseBlog.com. Photo credit Andrew Dutton. This entry was posted in Design Concepts and tagged andrew dutton, domus, mobile house, tiny house.